The Tailors Arms, Wilford, Nottingham. There's a fantastic new gastro pub serving 'the best of British' in Wilford, a small village near the city centre of Nottingham. 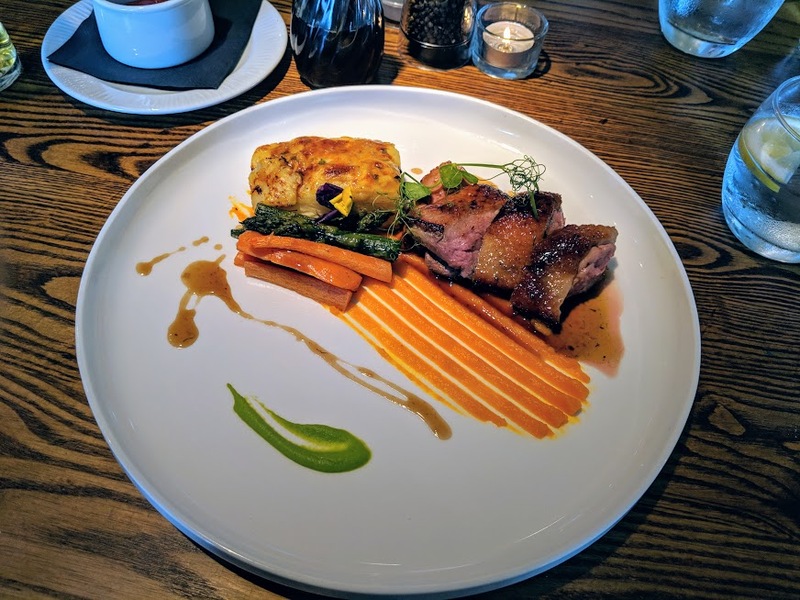 This restaurant was only 30 minutes from my home in Loughborough, so the best place to escape for a date night. The Tailor Arms has opened in the former premises of the Wilford Green Pub and Kitchen, which closed earlier in 2018 and became quite dated. The premises now has given the spacious bar and restaurant a brand new contemporary style that fits perfectly and an atmosphere to suit everyone. The gastro pub has really thought about every customer that walks into their establishment. They have a great balance of space for people who just want to enjoy a drink or for those who are there to dine. There is also a great private dining room if you are planning a celebration meal. The menu at the Tailors Arms is about serving 'the best of British' and there is a great selection of dishes to choose from. The menu also includes a great selection of meals suitable for vegetarians and gluten-free options too. For the starters we took the recommendations from our host for the evening. 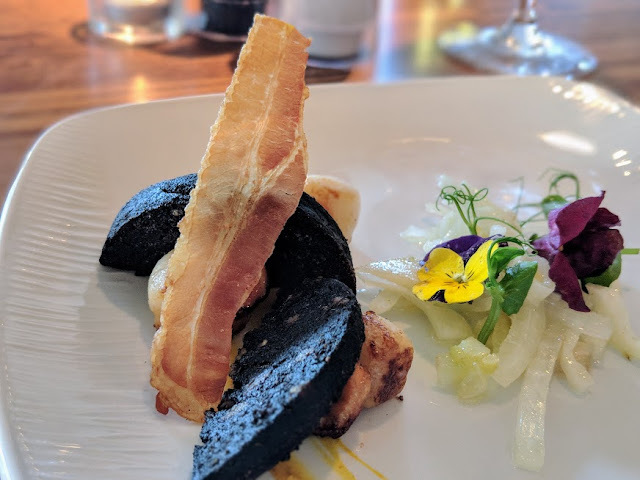 I went for the Scallops (Gluten Free) dish which was pan fried scallops, crispy pancetta, and black pudding. There wasn't much to this dish, it was really well presented and the scallops were really tasty. I'm not a fan of black pudding but wanted to sample it with the scallops, I definitely should have picked a different dish to try and got major food envy from what Jordan was eating. Jordan decided on the Pork Belly. This was Shropshire pork belly, spicy butternut squash, and apple sauce. The meat was melt in the mouth tender and packed full of flavour and was complimented nicely with the side of apple sauce. The crispy crackling was a brilliant counterpoint to the tender meat and perfected the meal. Deciding on a main course was quite straightforward for me. I opted for the Halloumi Burger which came in a black bun and served with grilled veg and pesto. 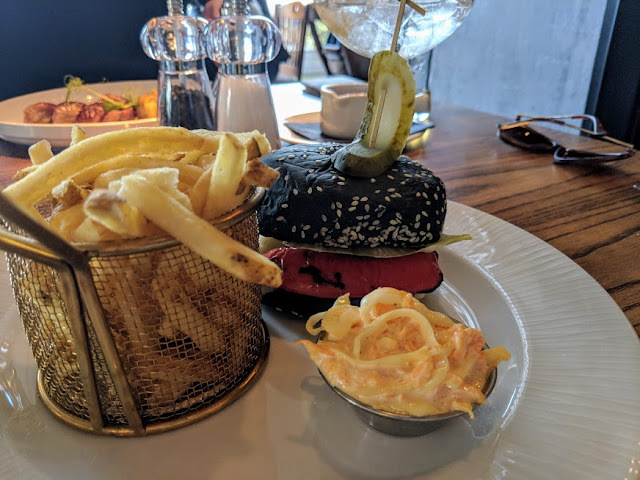 The burger came served with coleslaw and skin on fries. I have tried a product before which came served on something made from black cornflour and it was tasteless. Their halloumi burger fits the bill for me with lots of flavour and incredibly moist. The burger didn't come overflowing with filling too which meant you could enjoy it without it falling apart in your very hands. Jordan opted for the Duck Breast on the recommendation of our host. Again, much like his starter the meat was cooked to perfection, like eating a rare steak it was tender, soft and juicy. The potatoes complemented the meat to create a delicious and enjoyable meal. For dessert me and Jordan couldn't resist trying the Chocolate S'mores. 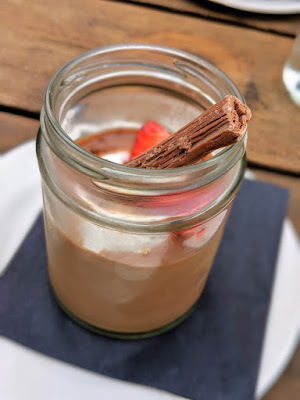 This dessert was delicious and came as milk chocolate mousse, creamy marshmallow, and shortbread crunch. It was the perfect finale to our meal but it would have been better with more shortbread on it. The shortbread was just a sprinkle on the top and it would have been better with more of a biscuit to dip into the mousse and marshmallow. 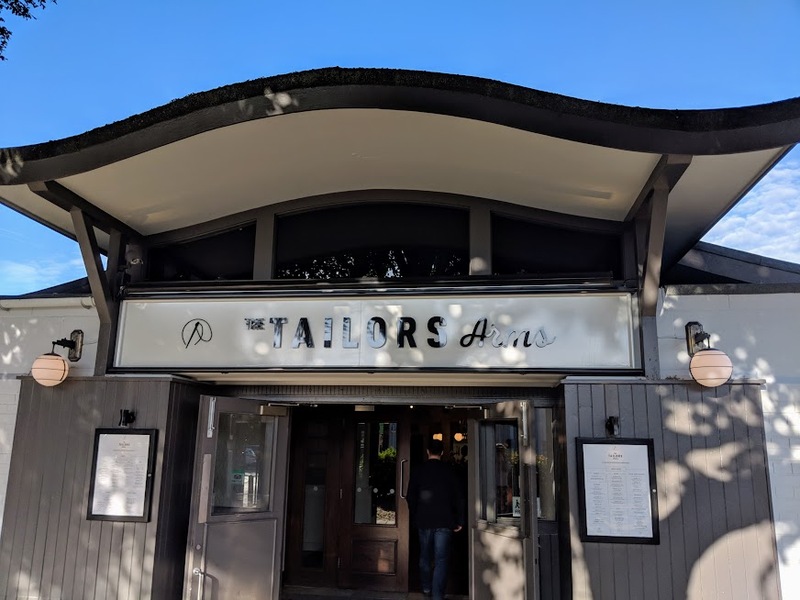 Overall, we couldn't fault our experience at the Tailors Arms. The food, atmosphere, and staff made it for an unforgettable evening. I would definitely recommend that you visit this restaurant in Nottingham and will be telling all of my friends and family about it for sure! If you'd like to find out more about The Tailors Arms and their incredible menu, you can visit their website here. 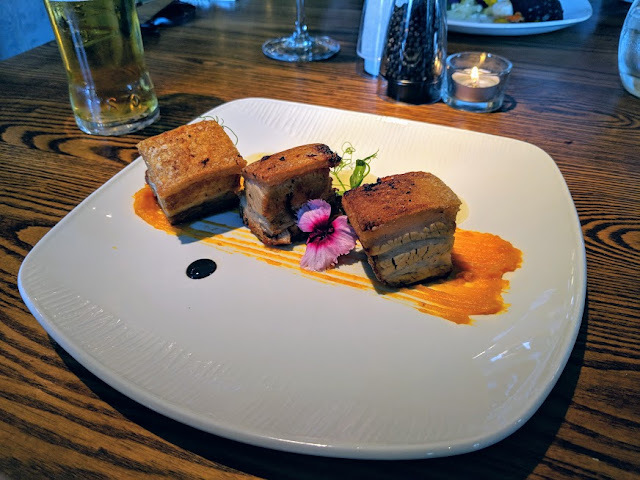 *Complimentary meal and drinks in return for an honest review of The Tailors Arms. Looks like a great meal, especially those scallops!